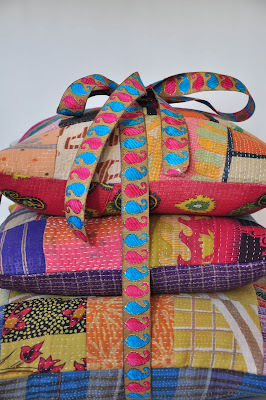 raja and rani: Notting Hill is calling……. 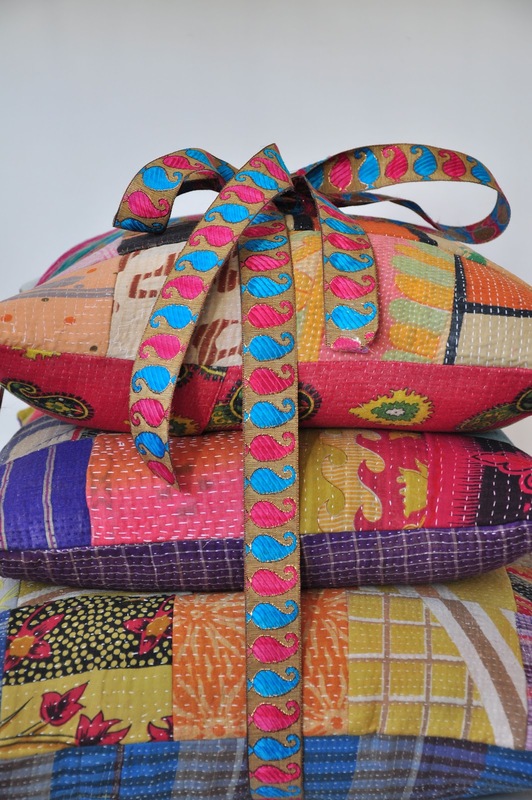 We'll be at the Notting Hill Design Fair for 3 days next week, selling our Kantha quilts, cushions, and luxurious silk scarves and shawls, all handcrafted from vintage sari fabrics. The perfect place to start shopping for your Christmas gifts! 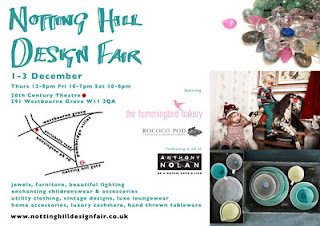 There'll be lots of other designers there too, selling jewellery, handmade cards, hand thrown tableware, unusual children's toys and much more! If that wasn't enough, Hummingbird Bakery and Rococo Pod have scrummy cakes and coffee on offer whilst you shop for your Christmas gifts. Forgot shopping on the boring high street, this is going to be a lot more fun! See you there! Notting Hill Design Fair, 20th Century Theatre: Thursday 1st December 12-8pm, Friday 2nd December 10-7pm and Saturday 3rd December 10-6pm.